Timeless Memories exclusive Art design. 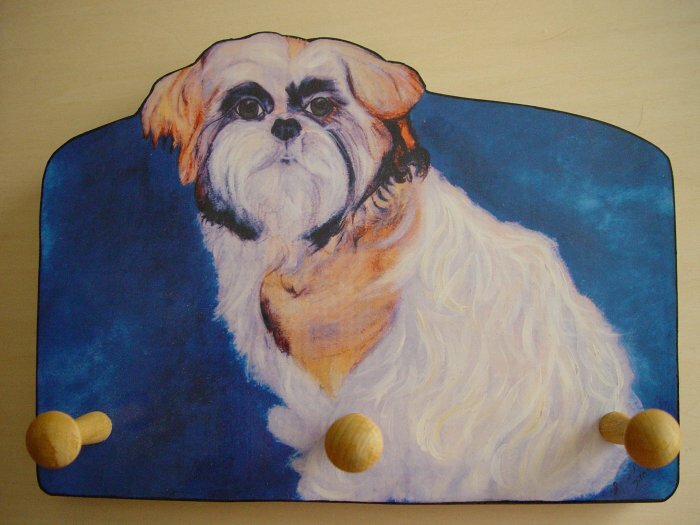 Beautiful decorative wooden peg - key or leash holder ; Ines Miller original Acrylic painting finely reproduced on 3/4" thick wood with three wooden peg holders; each peg holder measures 2" long; item hangs from a sturdy sawtooth hanger. Item measures approx: 10 3/4" wide X 8" tall. You are buying directly from Ines Miller art studio to your home. Decorative peg holder art recommended for indoor use. This is a brand new item! Makes an excellent gift! Copyright and Reproduction Rights to all designed Artwork are property of Ines Miller.